YOU NEVER DREAMED YOU COULD FEEL THIS GOOD . . .
An eminent Ivy League-trained physician shares her 40-Day Plan for tuning up your mind-body connection to achieve exuberant physical and mental health – no matter how you feel right now! From Hippocrates in ancient Greece to the modern healers of today, the impact of the mind-body connection on your health has been widely recognized. And today, science has proven it! Now, Dr. Elaine Ferguson teaches you step-by-step how to nurture this connection to eradicate the physical, emotional, psychological and spiritual ills that are holding you back from a boundlessly healthy and vibrant life. No matter what your condition is right now! The distinctions between feelings, thoughts and emotions, and how both positive and negative emotions factor into one's health. Follow Dr. Ferguson’s action plan (custom-designed for YOU) to transform your physical and mental health in only 40 days! No two people are alike. Your physical, spiritual and mental issues are unlike anyone else’s. That’s why this book is NOT a “one-size-fits-all” plan for improved health. Through worksheets and assessments, you’ll customize your 40-Day Plan to your particular needs! The worksheets will help you assess where you are in each area: mind, body, and spirit. What your weak spots are, and where you need strengthening. Then, with Dr. Ferguson as your guide, you’ll design your individualized 40-Day Plan for Superhealing! You’ll learn eye-opening new facts about the huge impact of these and other issues on your health and well-being! We all know how poor health can affect us mentally. Here are some odd facts about how mental issues affect us physically! Forgiving people you resent lowers your risk of having a second heart attack. Blood sugar levels in diabetics can be reduced through meditation. Optimists are healthier than pessimists. Helping a stranger improves your immune system and overall health. The simple act of writing about an emotional issue can improve your health. Group support can increase longevity among severely ill cancer patients. Your mind can reverse the aging process. Listening to soothing music can help your body to heal. Elaine R. Ferguson, MD, an Ivy League-educated physician, has practiced holistic medicine in the Chicago area for over two decades, and is currently a Senior Medical Director for the U.S. Postal Service. In addition to actively practicing, Dr. Ferguson is also an accomplished lecturer and teacher who has spoken at numerous colleges, universities and medical schools. Her consulting practice, One Health, offers a line of downloadable, educational audio and workbook products designed for those with various physical conditions such as diabetes, hypertension, and post-surgical recovery. 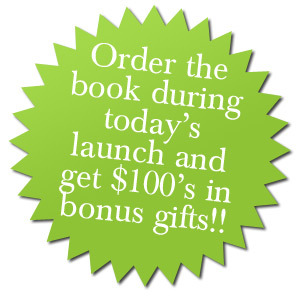 Here are just a few of the great bonus gifts you’ll get when you order the book during today’s launch! The perfect companion to Superhealing, this 250-page workbook will guide you step-by-step in creating and successfully completing your own unique journey to better health and well-being. A guide to help you talk to your doctor to support your efforts in your Superhealing journey. A 30-minute meditation to help stimulate your body’s innate healing capacities. Click here to see the long list of other great bonus gifts! Being optimistic and experiencing good things to happen relates to better health. Positive emotions help us to develop hardiness and resilience (the ability to transcend out challenges) when they are firmly grounded by self-awareness and acceptance. “Dr. Ferguson made me a believer in the connection of mind, body and spirit to our optimal health and well-being. She presents the science that supports this claim. No longer do I just believe that the mind, body and spirit are connected to health and well-being, but now I know they are connected. Super Healing is an excellent read. I enjoyed that Dr. Ferguson shares stories from her life and how those experiences made her who she is today.Knowing how to create optimal health and well-being is the best thing you can ever do for yourself.Optimal health and well-being is more than just being physically healthy. It is about engaging the your mind, body and spirit so you achieve superhealing. "A life-changing event. I finally understand how to improve my health in a most powerful and profound way. Thank you!" "It is my sincere hope that your important and uplifting message of Superhealing reaches millions of people." — James M. Childs, Jr.
"This workshop has allowed me an important opportunity to not only take charge of my health, but the awareness that I must give myself the consideration and loving care I have afforded others. Thank you!" "Your words moved me, your passion touched me, I am deeply inspired to improve my health, more than ever before."